“Off to bed, and don’t forget to brush your teeth!” Our Minneapolis area Kids Dentist knows this command echoes regularly across the nation as night falls. 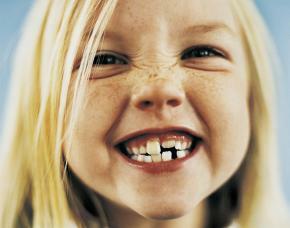 But is there moreparents could do to ensure their child maintains their healthy, happy smile? Brush early, brush together: As soon as your child has teeth, make it a habit to brush your teeth together. Younger children often lack the attention span to focus on brushing teeth thoroughly. Older children may rush through brushing in order to move on to another activity. Resist the temptation to hand your child his toothbrush and leave him to finish the job. The consequences may not be obvious immediately, but neglected areas often turn up as cavities. The right tool for the job: During the infant-toddler years, a washcloth with a tiny amount of toothpaste can be used to cleanse teeth. As your child grows, choose a toothbrush that matches his development stage. Soft bristles protect the gums; large handles improve grip. Inspect regularly: Routinely examining inside your child’s mouth will help parents detect problems early on. Watch for tartar and plaque buildup, inflamed gums, poor alignment, and brown spots that may indicate a cavity. Regular dental check-ups: Allowing your child to become familiar with the gentle examinations, and kid-friendly atmosphere at our Serene Oaks Dental office will go far in setting a fine foundation for excellent oral health! Make an appointment today to see our Minneapolis area Kids Dentist!